Ms. Wagner is a qualified German and European Patent Attorney, and is a European Trademark and Design Attorney. Ms. Wagner assists the firm as Of Counsel (until 2017). She holds an engineering degree in material sciences from the Technical University of Stuttgart with practical work performed at the PML of the Max-Planck-Institute Stuttgart, Germany. Ms. Wagner conducted post-graduate studies at the CNRS/Vitry - Paris, France, in alloy research. In 1995 she entered intellectual property law in a private practice patent law firm. 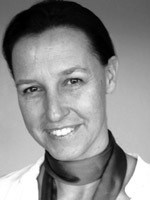 Ms. Wagner held various industry positions between 2001 and 2007 with two major players in the semiconductor field, and is experienced in drafting and handling world wide prosecution, complex non-infringement and freedom-to-operate opinions, world wide litigation, and licensing projects and negotiations. Her expertise in US patent law has proven useful for a number of clients of various technical fields. Today, one of her focus is representing clients before the German and European Patent Office in inter partes proceedings and counseling all intellectual property law related aspects relevant for a patent department. Her technical patent law experience covers material sciences, semiconductors, rapid-prototyping, the automotive industry, print-media and medical devices. Ms. Wagner is admitted to represent before the European Patent Office, the German Patent and Trademark Office, the German Federal Patent Court as well as before the German Supreme Court in nullity actions and the Swiss Patent Office. She is also a registered agent at the Office for Harmonization for the Internal Markets in Europe in Alicante. Ms. Wagner speaks German, English and French.